Top morning walkers in Jharkhand capital are celebrating noted freedom fighter and retired Dr. P.C.Asthana’s 92nd birth day at the Civil Service Officers Institute in Ranchi. These morning walkers include Jharkhand Urban Development Minister C.P.Singh,Santosh Kumar Satapathy(IAS),N.N.Sinha(IAS),Dr P.D Singh,Dr R.P.Singh,Kanshi Kejriwal,Kishore Mantri,Vishwanath Singh,B.K.Sinha,Arvind,Dr A.D.Sharma,Birendra Singh,Ashok Singh,Dhirendra,Subhash Sharma and senior journalist Manoj Prasad. On the occasion,a booklet under title ‘Noted Freedom Fighter,Dr. P.C.Asthana moves forward’ was being released jointly by these morning walkers.The brain behind the programme was Satapathy and the booklet was authored by Prasad who is Editor of www.jharkhandstatenews.com. Since today is Jharkhand-Bihar’a famous Dr P.C.Asthana’s 92nd birthday,we thought we would take this historic opportunity to talk about something that has been increasingly bothering us lately.We have noticed a pervading negative attitude towards the elderly in society that is deeply disturbing, especially from younger people. We have seen elderly people receive the cold shoulder in main roads,markets and even hospitals, particularly for committing the crime of asking for help in getting a hard-to-reach item. We have witnessed young guys continue walking on by after an elderly person fell, crying out for help. We have read stories about fit and competent older people losing their jobs because of the belief that once a person reaches a certain age that they can no longer perform the job adequately. We have also come across sullen preteens treat their grandparents with resentment and anger that should only be reserved for the lowest forms of life in prison. Yet,the truth is there is a great deal we can learn from our senior citizens, especially about life. Older citizens of this world deserve to be treated with respect and dignity.So because many of them had done excellent and historic job during their active phase of life.Take the case of Dr. Asthana. His nine point two decade old records made us learn a great deal about his life and core human values from simply being around the elderly and achievers in society.He was born on October 29,1924 in Patna.His father Sidehshwar P.Sinha was an advocate of Patna High Court and was associated with people working for the freedom of India from the clutch of the British Empire.His mother Annapurna Devi was a housewife who played a leading role in mobilizing women for their empowerment. Sadly,both father and mother died during 1932-1935 respectively when he was a small child of 8-10 year old. him support,encouragement and education to him and his one brother and one sister,he grew up and got educated. 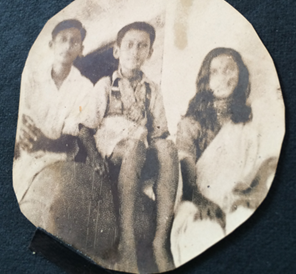 Since Dr Sinha was strongly influenced by Mahatama Gandhi and wore Khadi clothes,a symbol of nationalism,he learnt importance of Gandhi,Khadi and nationalism.So, Dr. Asthana followed his uncle’s foot steps and apart from participating in the freedom movement and unfurling the national flag from the top floor of his uncle’s house in 1946,he became a surgeon with a difference. Apart from pursuing science subjects, he not only participated in Quit India Movement in 1942,but records show that he frequently attended Mahatama Gandhi’s prayers and meetings held in Central Patna-then known as “Bankipore Maidan” or“The Lawn”. AS “GANDHI MAIDAN”.This he did by writing a letter to the Editor of the Searchlight-an English daily-which published it. Soon,after Independence,the government accepted Bankipore Maidan as Gandhi Maidan. 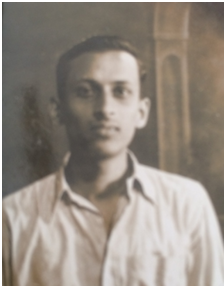 In fact,after Independence,his destiny had drifted towards his profession.Soon,he was successful in specializing in Anesthesia at Rajendra Medical College and Hospital,Ranchi(Now called RIMS).Pursuing this speciality,Dr Asthana is credited to have designed and got patented in 1968 an instrument called “Asthana’s Foreceps”. In 1998,Dr Asthana confronted the serious problem in his heart.Tests revealed that he was struck by ‘Cronory Ateries Blockades’ ranging from 5 percent to 90 percent.In 2009,he lost his beloved wife Madhuri Asthana.Three of his children-one son Gaurav and two daughters-Rupa,wife of Sukant Srivastva and Sony,wife of Bishwadeep Akhauri-who were professionals-were either out of Jharkhand or stationed abroad.His daughter in law is Mrs. Vinita Asthana. When he was diagnosed and advised in the US that he should “immediately undergo Bypass surgery as a life saving measure”,Dr Asthana preferred to look the other way.Instead of undergoing Bypass surgery,he pereferred to put himself on changed life style,increasing intake of quality oxygen,Nature’s self healing capacity,positive thinking and dedication to God. No joke,at 92 today,apart from going for morning walk every day,meeting relatives,attending senior citizens’ meeting,reading newspaper and watching useful programmes on TV channels,he stiches button of his shirt,polishes his own shoes,irons his own clothes,visits banks,post office,puts water over trees and plants and enjoys shopping in the market. So we,members of the Morning Walkers Club,strongly believe Dr. Asthana that you are creatively blessed by the God in a special way.We hope that you swim and float through many years to come with a warm smile on your face.